My beat-up copy of this book that I've owned for about 15 years. I have a unused copy as well. I first read this book when I was perhaps 14. It was one of the first adult fantasy novels I'd ever read, and after I read it, there was no way I was going back to YA novels (except Harry Potter). I've now read this novel five times. The first two times were because I fell in love with the author's stories because he was one of the gateway novelists into my favorite genre. The third time, was after I'd read many other novels. The second two (including this recent reading) was from the perspective of a fantasy author myself. This is one of those stories where people love it or love to hate it. People love Goodkind's tropes or hate them. They love his prose style or hate it. Love his soapboxing themes or hate them. Rereading this, I understood both sides in a way I hadn't before. I'm not the same 14-year-old I was when I first read this series, so I don't find his philosophy to be complete. And because it seems to lean heavily on basics of Ayn Rand's core musings, it doesn't quite do it for me in that department. Despite that, I found that Goodkind's ability to reach out to those who might resonate with his message to be powerful. He understands what his story is about and communicates that in so many ways throughout the story. I also think the plot is just plain fun, and I feel the emotions of the characters in a way I'd hope a story will make me feel. 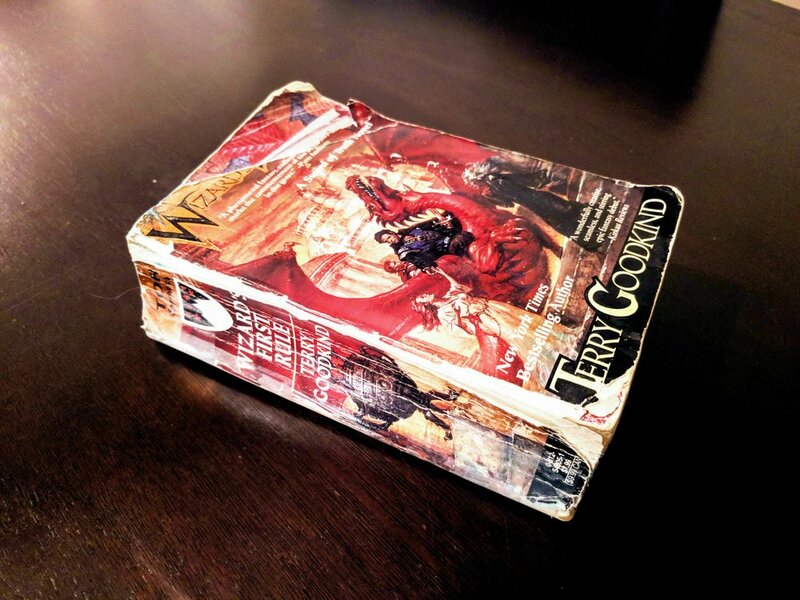 Due to the heavy-handedness of Goodkind's themes, I can't give this story a five-star rating. I think that's a big flaw. But, for the right person, this story is perfect. And I think it's important to recognize this. I will continue to read the series through the lens of who I am as a writer today and rediscover this story in a way I couldn't see it when I'd first read the series.